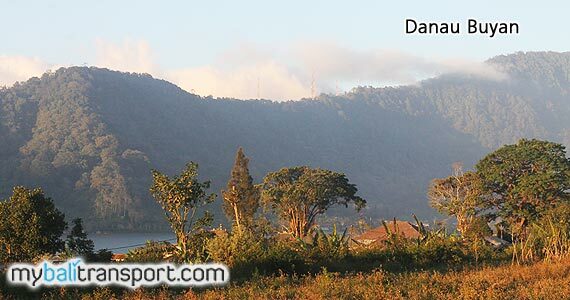 Lake Batur (wide 1607.5 ha), Lake Beratan (375.6 ha), Lake Buyan (336 ha), Lake Tamblingan (110 ha). Enchantment Lake Batur with the natural landscape is a combination view of Lake Batur and Mount Batur which is in the middle of the caldera makes beautiful scenery and spectacular, especially when the weather is sunny, so the area has become one of the favorite tourist destinations in Bali. 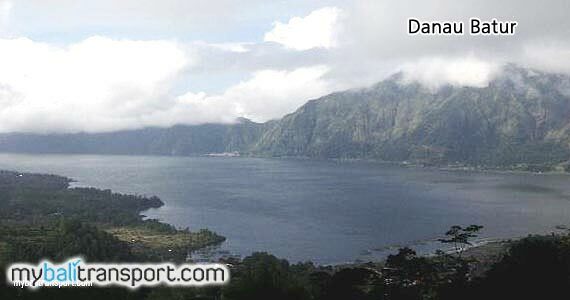 Lake Batur is the largest lake in Bali is located in the district of Kintamani, Bangli. From Denpasar approximately 1.5 hours drive. 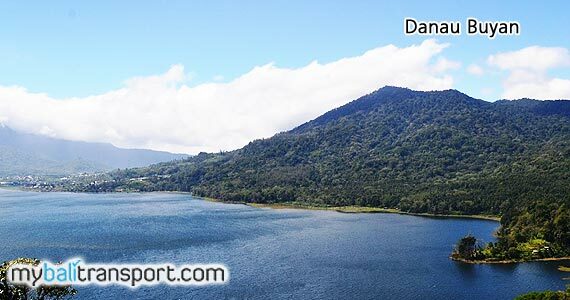 Beratan Lake is located in Bedugul, Tabanan, were in the road that connects Denpasar - Singaraja, from the city of Denpasar towards the north took about 1.5 hours drive. 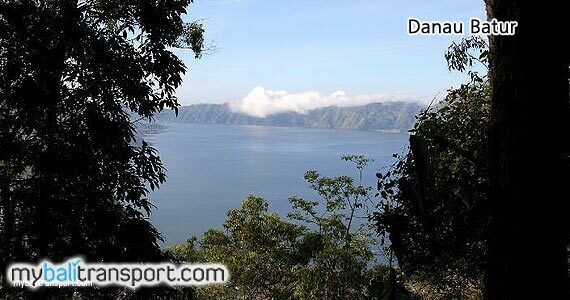 The combination of natural scenery between the lake and the charm of the exotic Ulun Danu Temple Beratan make so lovely views. 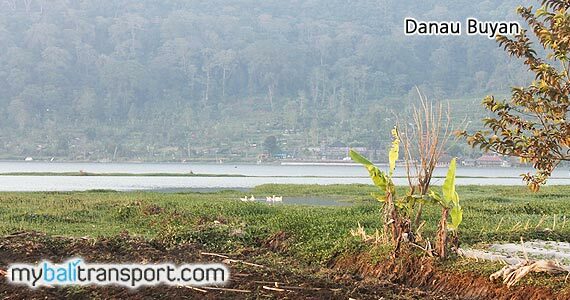 Lake Buyan is located in the village of Pancasari, District Sukasada, Buleleng Regency. Interesting to visit with a cool and calm atmosphere is the main attraction of the lake Buyan. This lake is one of the three twin lakes formed in a large caldera. 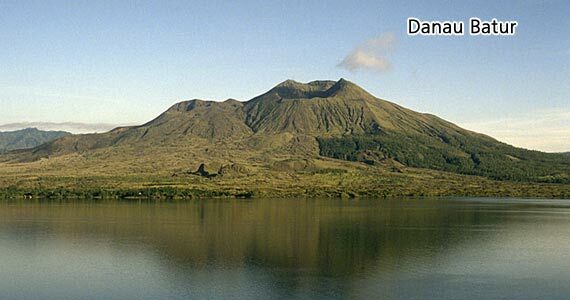 It is flanked by two other lakes, namely Lake Tamblingan in the west and Lake Bratan in the east. 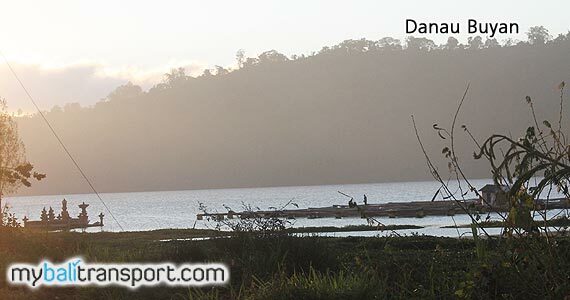 Lake Buyan is the largest of this three lakes. 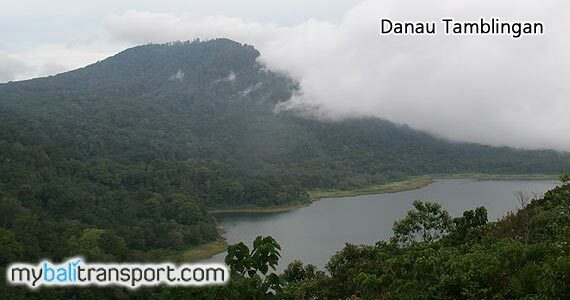 Located approximately 1 km from Lake Beratan. 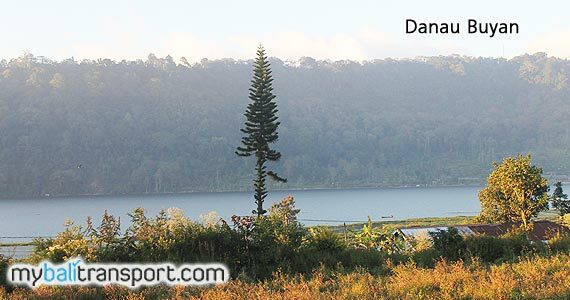 Adjacent to the lake Buyan, located in the District of Banjar, Buleleng. Although it is the smallest lake in the fourth lake in Bali but very beautiful scenery with beautiful hills typology. Natural authenticity of this lake is very pronounced, with the cool air completely surrounded by green mountains, fresh air atmosphere and provide a quiet and comfortable atmosphere. Fourth lakes in Bali, its interesting to visit besides the beautiful scenery and fresh air is also cool with beautiful nature atmosphere.